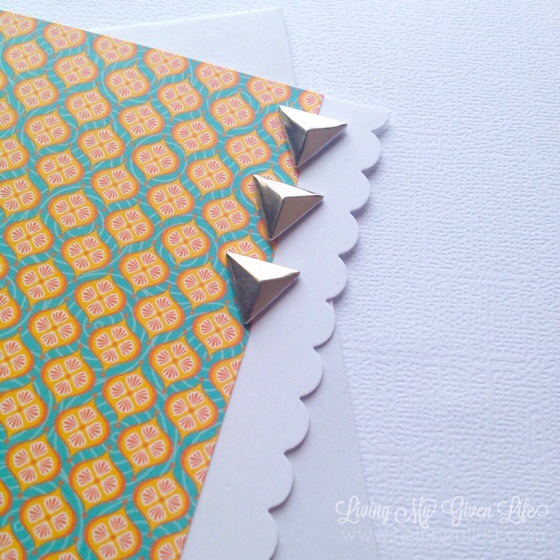 Today I am sharing a tutorial how to make page tabs with WRMK Envelope Punch Board. Since I do not have tab punch, I make my own page tabs using WRMK Envelope Punch Board. It is very easy to make and you can do in any sizes you need for your Bible journaling, or planner, or use them on any projects you want. Cut paper or cardstock in sizes you desire. I cut mine on the video in 2 inches x 1.5 inches. Place it under the punch. Flip over and punch again. Have a blessed Friday and Happy Crafting! Making cards is a hobby that I find it challenging me to be creative with designs that is mailing-friendly, not requiring too much extra stamps to send it. Shaker card is one of them. I learned making shaker cards using thicker foam tapes. Shaker cards is so much fun, don’t you agree? But to send the shaker card is required more postage compare to regular mail. I do not mind at all to send with more postage especially sending cheers to others! I learned to make shaker cards using this Fuse Tool with Fuse Sleeve. It is super easy and quick!!! I am in love with this new FUSEables kit from We R Memory Keepers. Check out these 4 shaker cards I made in less than 30 minutes! When using this FUSE tool it is safer with no kids around because it is super hot! It came with the stand but it is best to put the stand on the silicon mat so it won’t slide when you put the FUSE tool on it. If you put on the table, it will slide. Be careful. 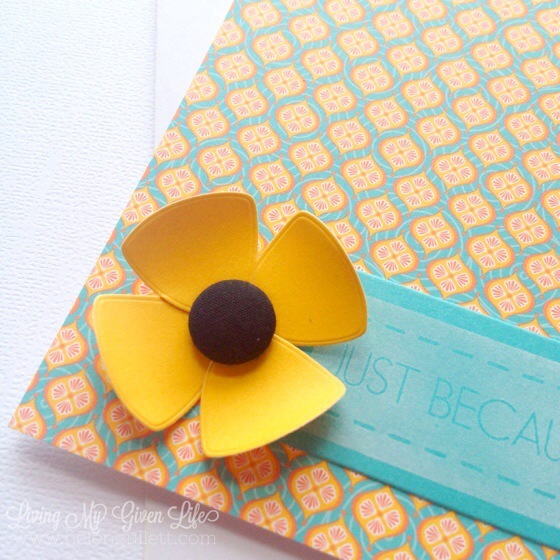 The FUSEables papers and embelishments make making cards easy and fun. It gives extra texture on the card, just like you sew your card, these cards you can see the texture of the FUSE tool when I attach the embellishment on the background paper. And these shaker cards are flat enough to mail with regular postage and they are still fun and cute, right? I love this kit and will make more cards. And I think wanna try pocket scrapbooking now with this FUSEable sleeves! Thank You for visiting today and I hope you have a fabulous day! Disclaimer: This is not a review blog post. It is all my own opinion about this kit and I bought the kit on my own. We R Memory Keepers and HSN did not ask me to do review on the kit and did not provide me free kit. I was so excited when I got my prize from Waffle Flower blog hop giveaway on last Friday! I won the new set, Surface – Tag Stamp Set and I couldn’t resist not to order the coordinating dies, Surface – Tag Die Starter Kit. And also I got the Bowtiful Die Set but cannot get the Bowtiful Stamp set because it was out of stock but now it is in-stock! For the sentiment, I die cut a piece of Lagoon cardstock with the tag die and stamped it with the White Daisy Exclusive Inks Stamp Pad. The inside I stamped the Happy Birthday with Black Exclusive Inks Stamp Pad. 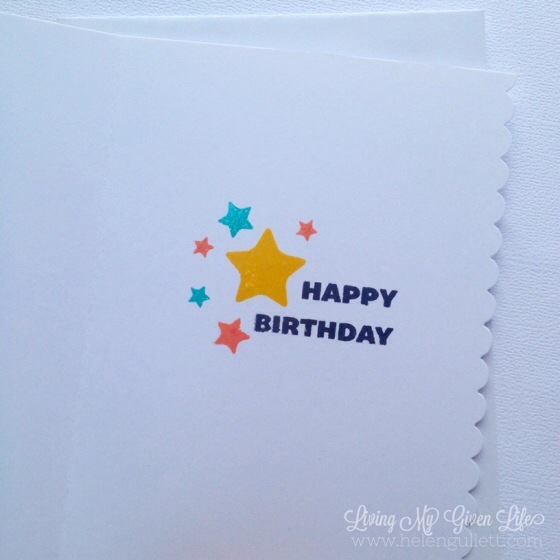 And for those stars, I stamped with Lagoon, Goldrush and Honey Exclusive Inks Stamp Pads. I know some friends who celebrate their anniversaries in this month, at least 4 in 2 weeks! Apparently June is a favorite month people to get married… including us! LOL! 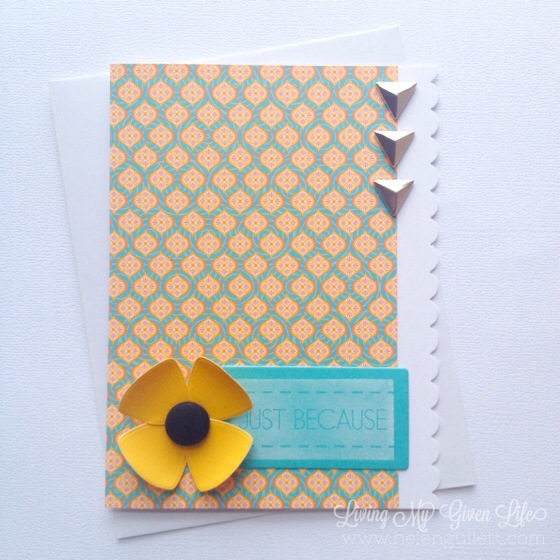 The first card, I used the die cut flower petals and leaves on embossed background card. The die cut flowers and leaves are gifts from my card swap friend a few months ago. And the background card I embossed using CTMH Damask Embossing Folder with WRMK Evolution Advanced machine. I added some gems on the flowers and added them on the card using 3D foam tape. The second card has the same embossed background card like the first one. I used Teal Shimmer Trim for the strips. The roses I cut with my Silhouette Cameo. To put them together, I used craft glue pen. I added some glitter on it. A bit more blings won’t hurt, right? I added the flower on the card with 3D foam tape. The sentiment I used is from The Happy Couple stamp set (D1539) that I stamped it using Black Exclusive Inks stamp pad. And they will be on their way tomorrow morning! I hope they’ll like them, and you too! 🙂 THANKS for visiting today!